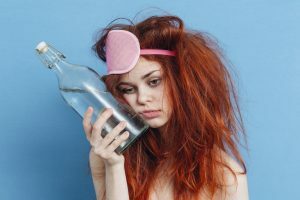 Before tips on how not to receive a hangover are discussed it’s crucial to understand what a hangover entails. A hangover is a cluster of symptoms that emerge after a person has consumed too much alcohol. In fact, you’re more likely to have a hangover with each additional drink you ingest. Symptoms of a hangover can last anywhere between twelve to twenty-four hours. However, the symptoms of a hangover initiate when your blood alcohol level starts to decrease. Also, the symptoms are most intense when your blood alcohol level steadies at zero, therefore meaning you no longer have alcohol in your system. A hangover is your body’s way of reacting to the amount of alcohol you consumed. Although, the symptoms you experience may not be the same for everyone. In fact, everyone encounters a hangover differently. The symptoms you experience are contingent on your body’s chemistry, the amount of alcohol digested, and the type of food you consumed. Since everyone has different symptoms of hangover’s, there’s a long list of common traits. For example, headaches, nausea, and dizziness are three of the primary symptoms of a hangover. However, a hangover can also cause a person to feel anxious, irritable, and depressed. People often lack balance, memory, and sometimes coordination when experiencing a hangover. Some people don’t have time to feel slowed down by their bodies due to a night of fun. A lot of people want quick relief, so they select a cup of coffee and a couple of pills to dull their pain for the day. But most of the time that doesn’t do the trick. Medicines like Tylenol can have a severe effect on the liver when mixed with alcohol. However, most people don’t realize the answer to hangover symptoms is right in front of them. In most cases, rehydration will help alleviate hangover symptoms. Although, you shouldn’t reach for the nearest Powerade or sugary sports drink. Sports drinks are likely to rid your body of the necessary nutrients your body needs. Instead, grab a water bottle and sip on it on the way to work, while you’re watching tv, or making breakfast. In fact, eating a healthy meal will also curb your hangover symptoms. Instead of going to McDonald’s and ordering a greasy breakfast think about making a smoothie or creating your own breakfast buffet. Also, depending on your schedule it might be good to take a nap. Sleep allows the body to naturally recover from the wear and tear of the day. 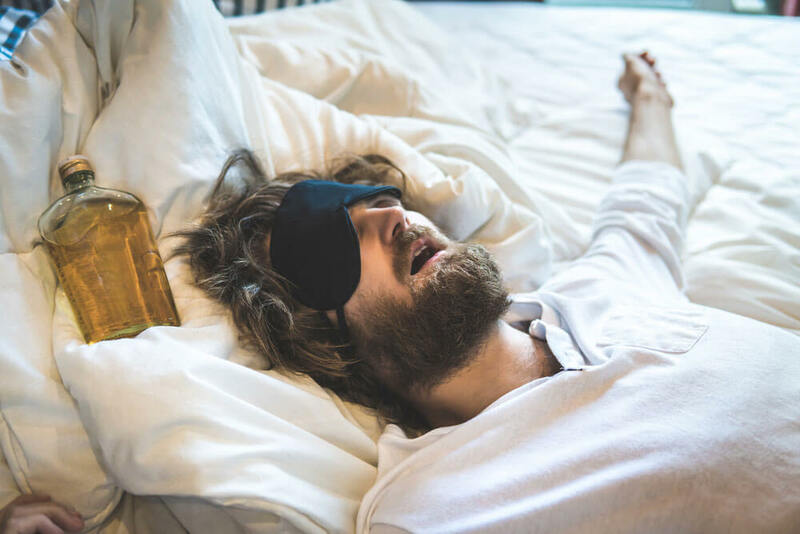 If you take a nap, you might wake up refreshed and energized without the feeling of those hangover symptoms. In addition, it might be beneficial to try a physical activity. Going to the gym to workout allows your body to release the toxins that alcohol put into your body. Therefore, by working out, you’ll start to feel better as you release those harmful toxins. If you want to decrease your chances of receiving a bad hangover, you should not only plan after you drink but also before. Drinking responsibility is not just about how you handle yourself while your drinking it’s also about the prevention techniques you use to make sure you and others do not get hurt or injured after you drink. Some deterrence methods include eating while drinking, have a cup of water between drinks, and limiting smoke while drinking. These techniques decrease the likelihood of a hangover as well as promotes safe drinking. If you eat while drinking your blood alcohol level will not be as high as if you were just drinking alcohol, however, what you eat while drinking will determine some of the symptoms you experience if you ingest too much alcohol. Therefore, it would benefit you if you consume health-conscious choices. While bar food might sound appetizing bars aren’t known for their healthy choices so try to eat foods with a high concentration of carbohydrates like fruit, pasta, and dairy products. If you have a cup of water in between alcoholic drinks, it will cut down your blood alcohol level. However, just because you consume water with alcohol doesn’t mean it’s safe to drink a lot of alcohol. Try limiting your drinks to what you know you can handle. If you smoke while drinking, you’re more likely to get a hangover. The combination of nicotine and alcohol together makes the body react in various ways. In fact, depending on a person’s body chemistry, the amount of alcohol they consumed, and the type of food they ingest the mixture of nicotine and alcohol could be dangerous to a person’s overall health. While hangovers vary from mild to severe, they all have a common cause: alcohol. Some people theorize that certain liquors will make you feel a certain way than others. However, alcohol will always make a person feel fatigued if their alcohol consumption is not controlled. Controlling one’s alcohol consumption can be challenging, although, do you really want to work with a splitting headache? 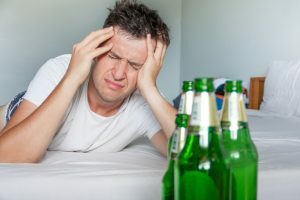 If you’re going to alleviate symptoms of a hangover after you already consumed alcohol than you can rehydrate, eat a healthy meal, or take a nap, however, if you want to prevent a hangover you can limit your smoking, eat while drinking, and drink a cup of water in between alcoholic drinks. Always remember to drink responsibly!